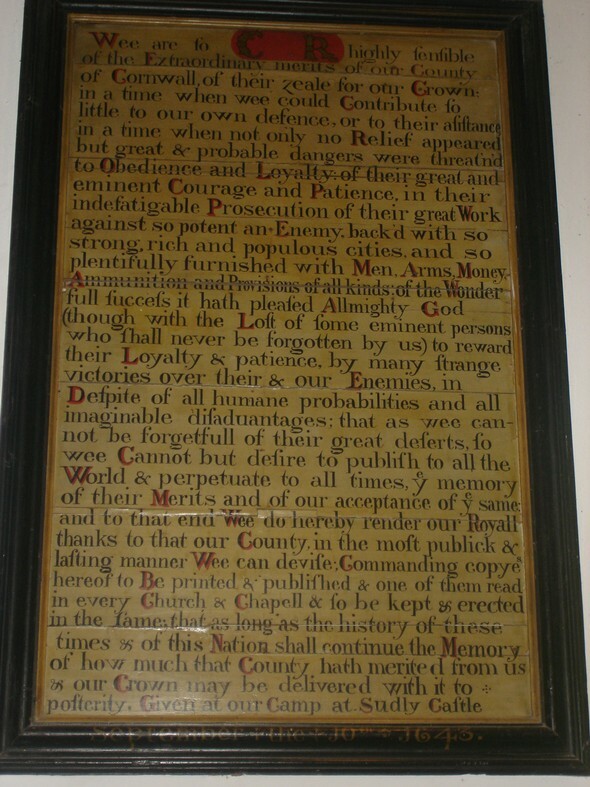 Please click on the images for enlarged view, use arrows to change image. 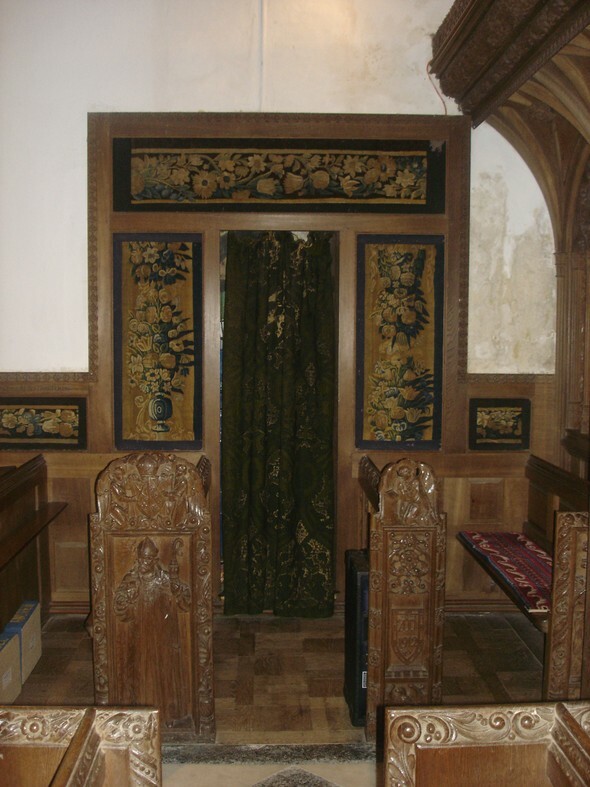 On the wall of the NORTH AISLE are two interesting paintings on wood. 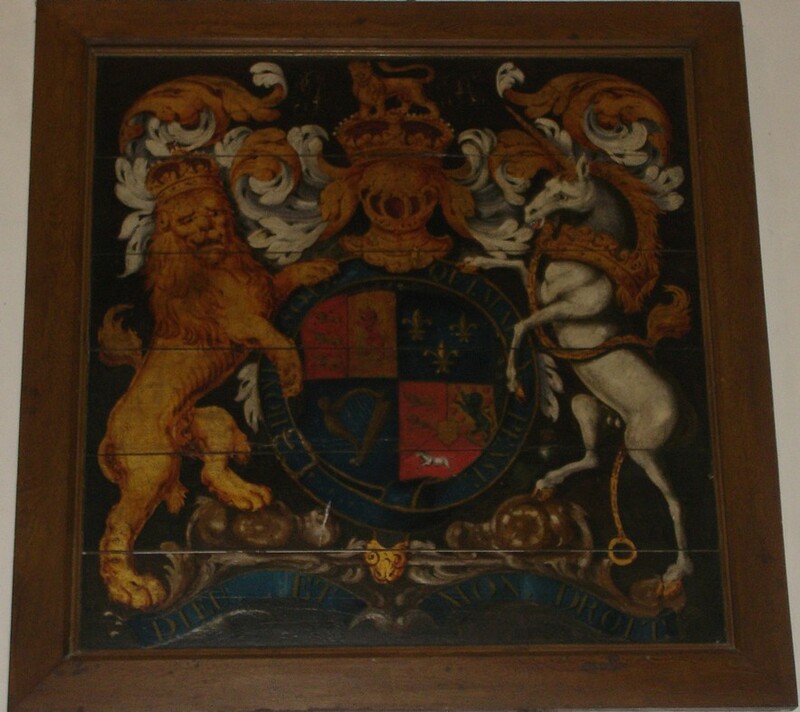 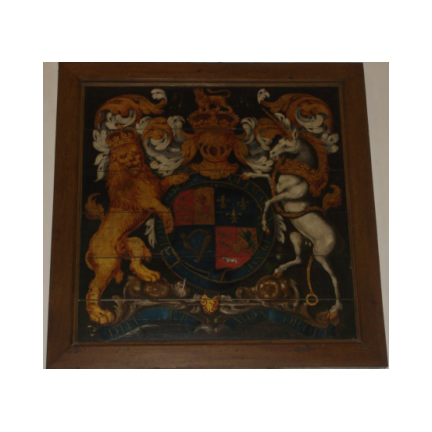 One shows the Arms of King George I, with the arms of Hanover incorporated in the fourth quarter. 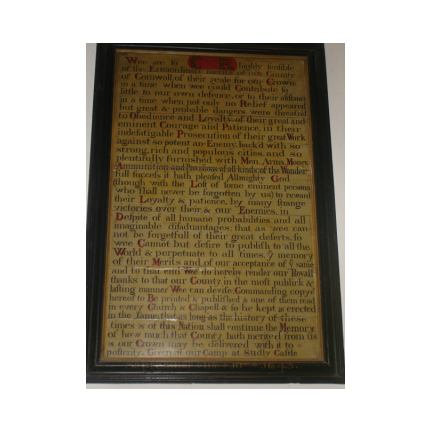 The other is a copy of the letter King Charles I issued in 1643, thanking the loyal people of Cornwall for their support in the Royalist cause. 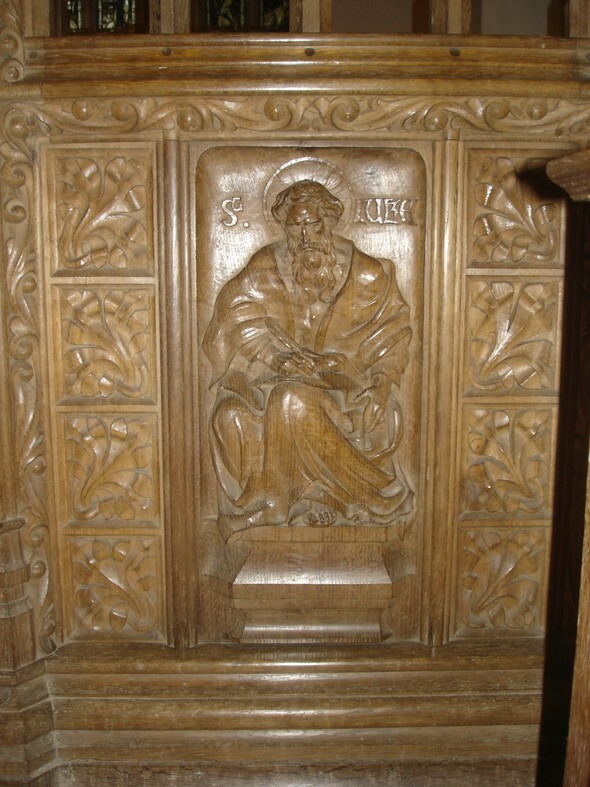 The SOUTH AISLE has a stone mural in memory of Davies Gilbert, of Tredrea, a son of Edward Giddy, a one-time Assistant Curate of St Erth. 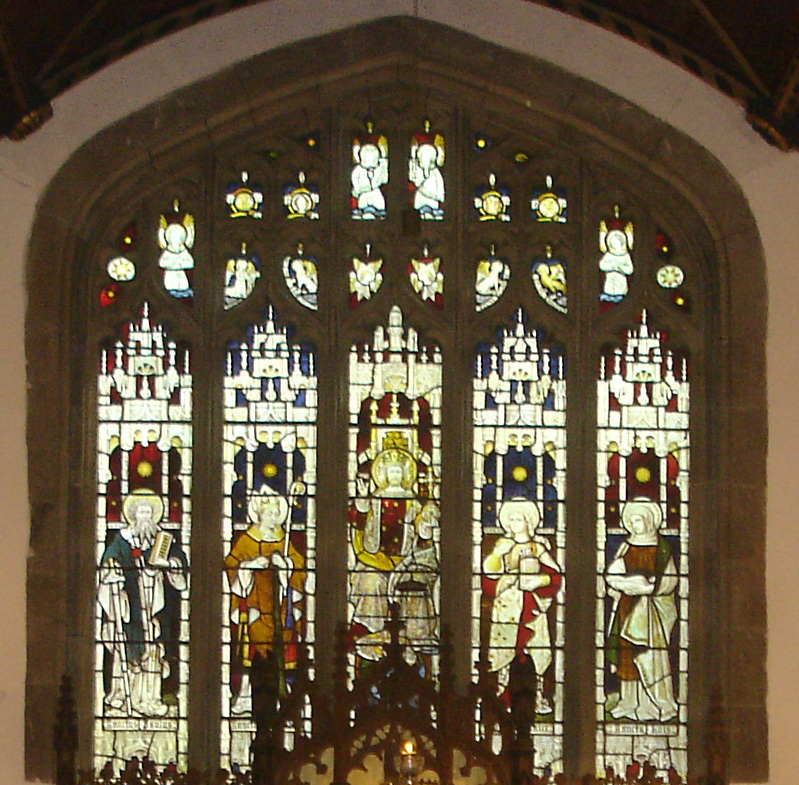 Davies assumed his wife's maiden name of Gilbert. 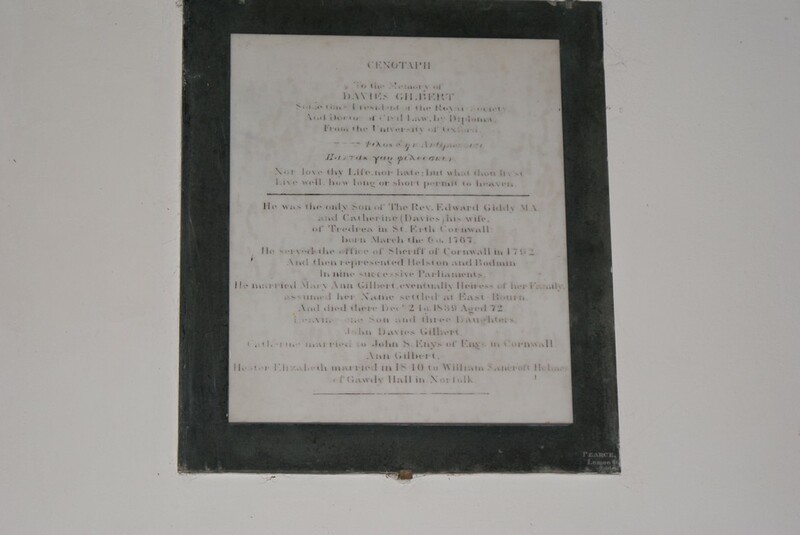 For 30 years he was a Cornish Member of Parliament, which was but one of the activities of his life (1767-1839). 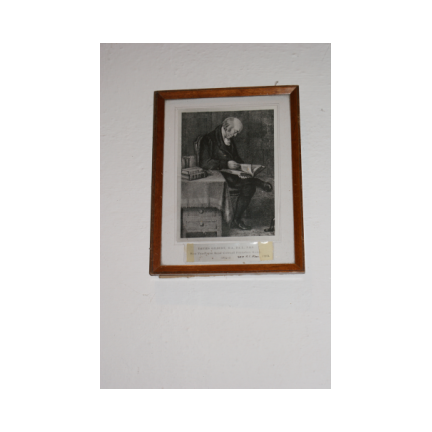 He was a President of the Royal Society, and was known as "the Cornish Philosopher", his chief claim to fame being as a scientist. 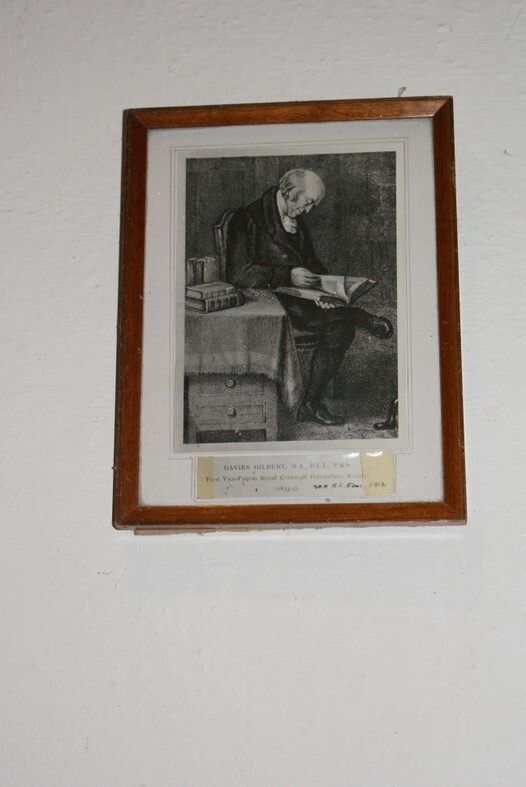 He "discovered" Sir Humphry Davy and collaborated with the inventor Richard Trevithick. 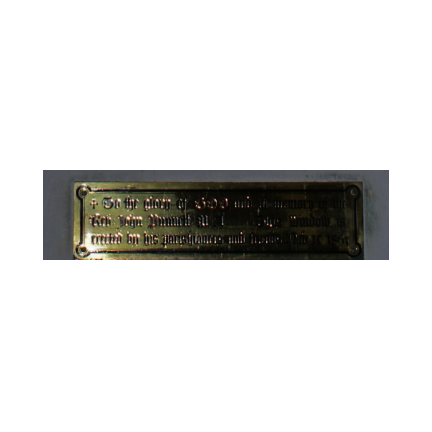 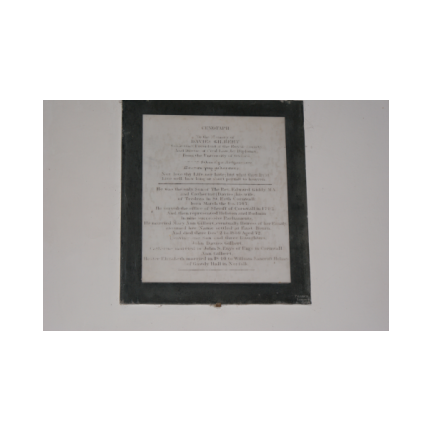 The latter had been married in 1797 at St Erth Church to Jane Harvey, the daughter of John Harvey, of the Hayle Foundry. 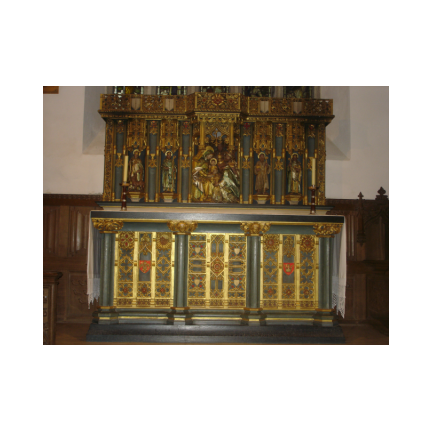 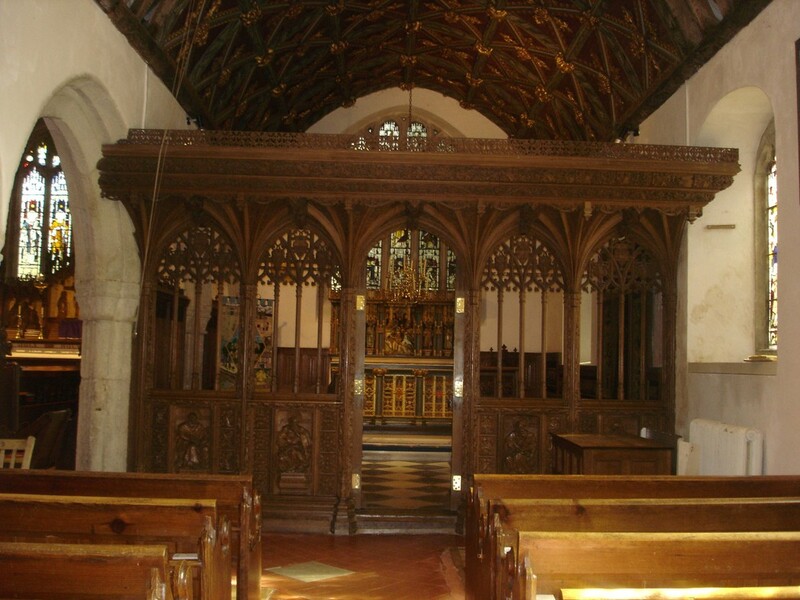 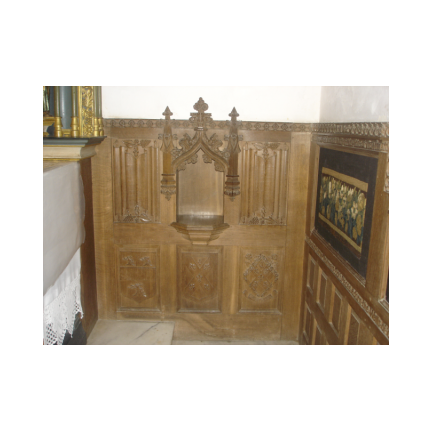 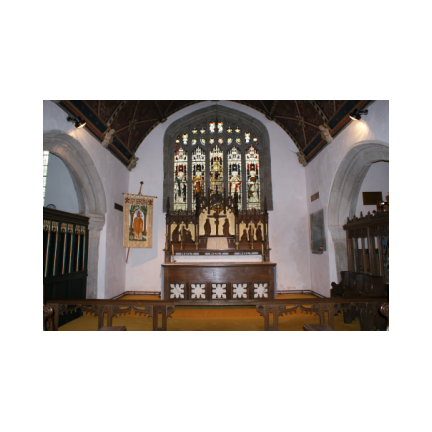 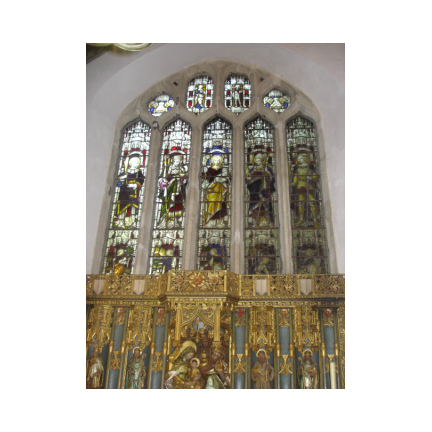 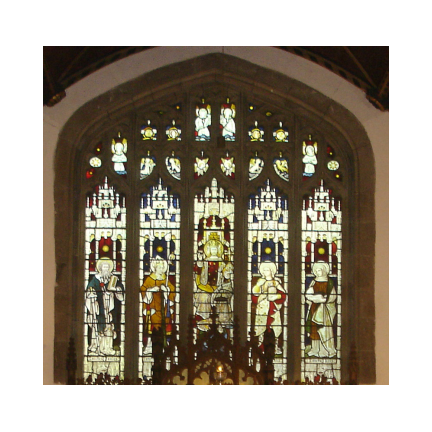 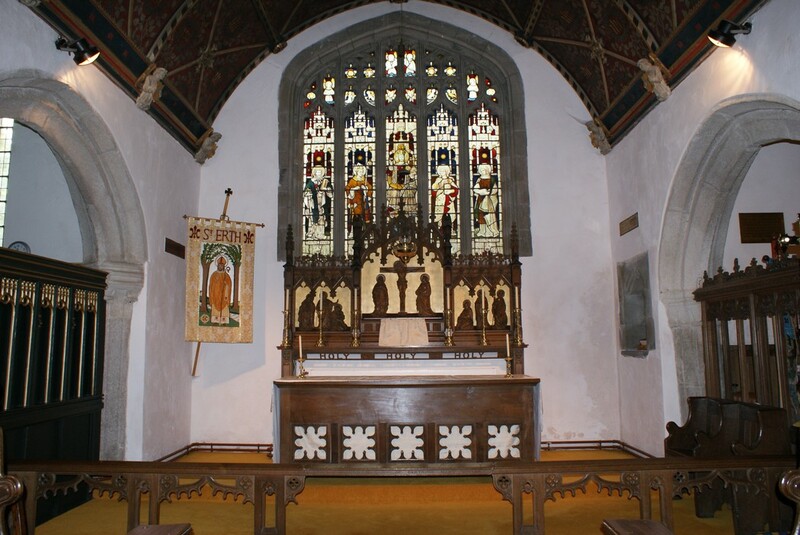 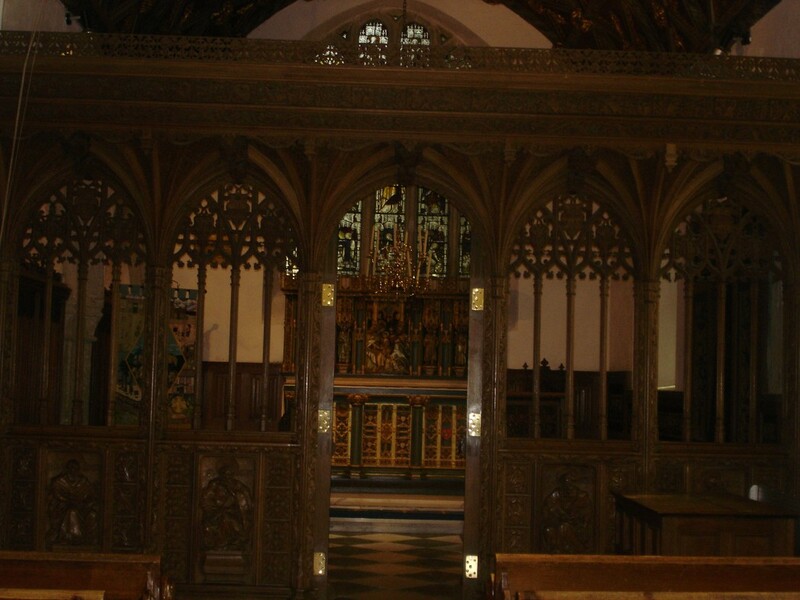 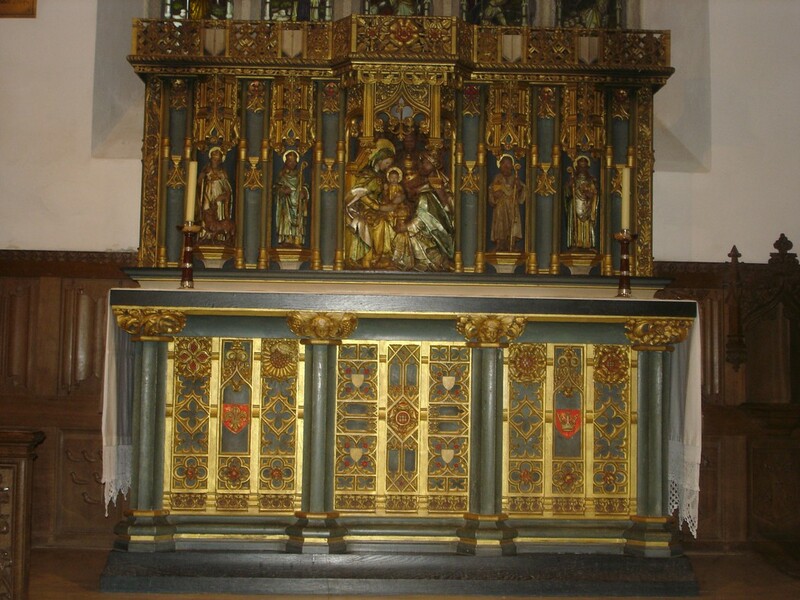 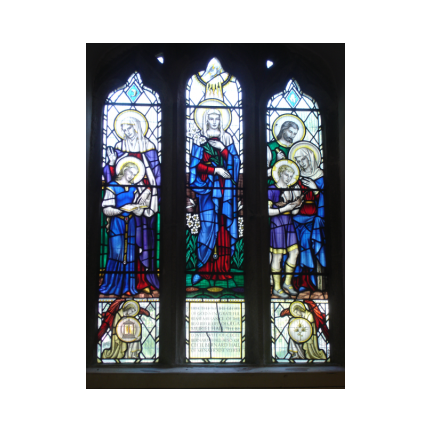 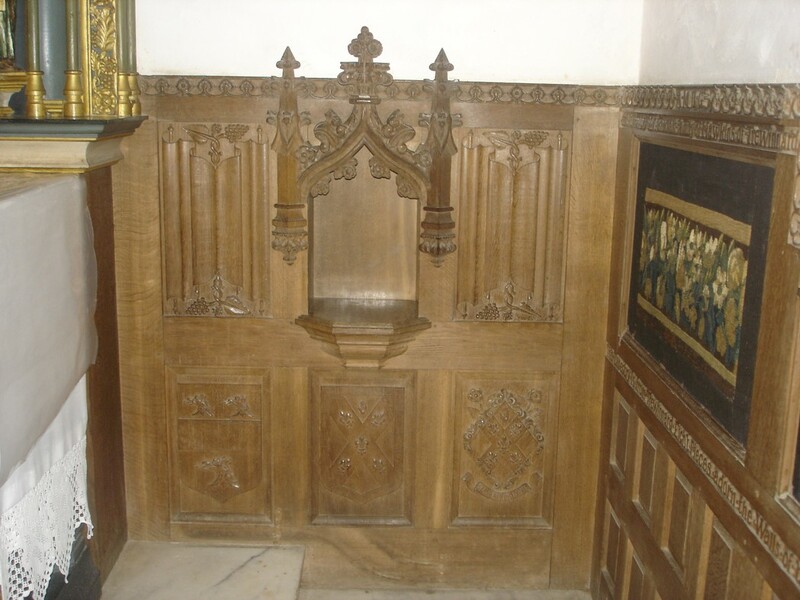 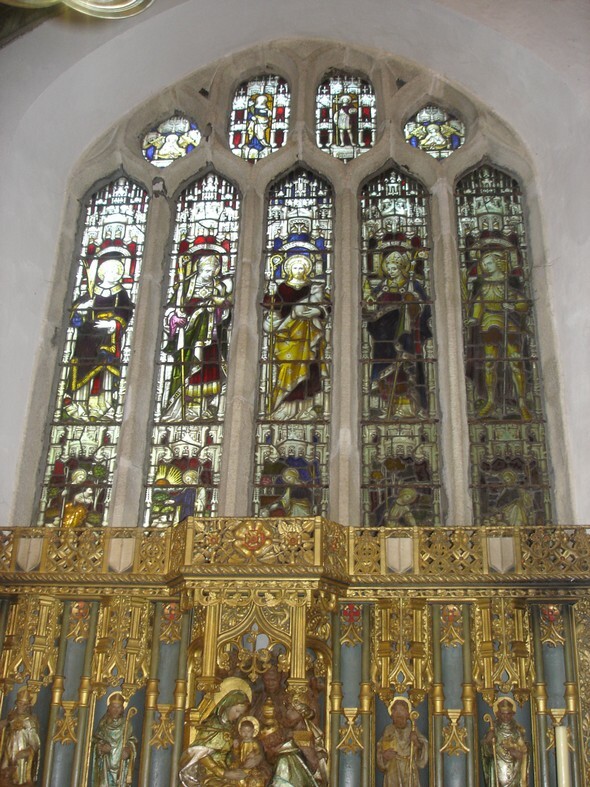 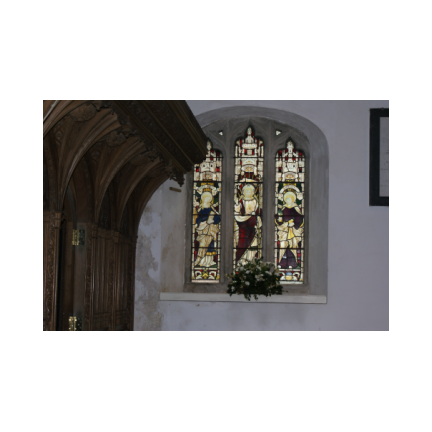 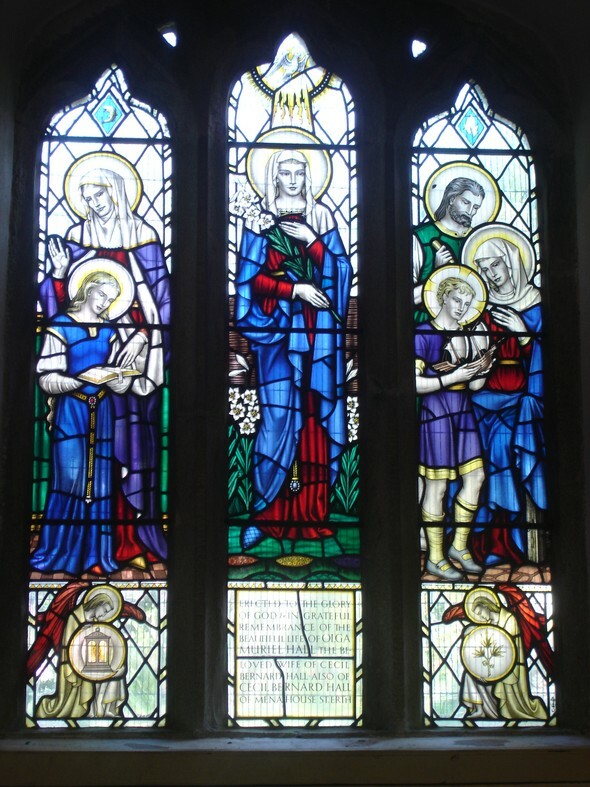 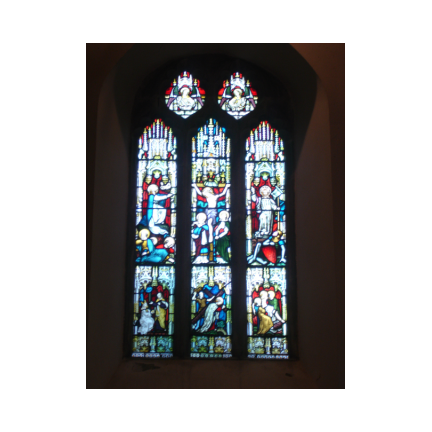 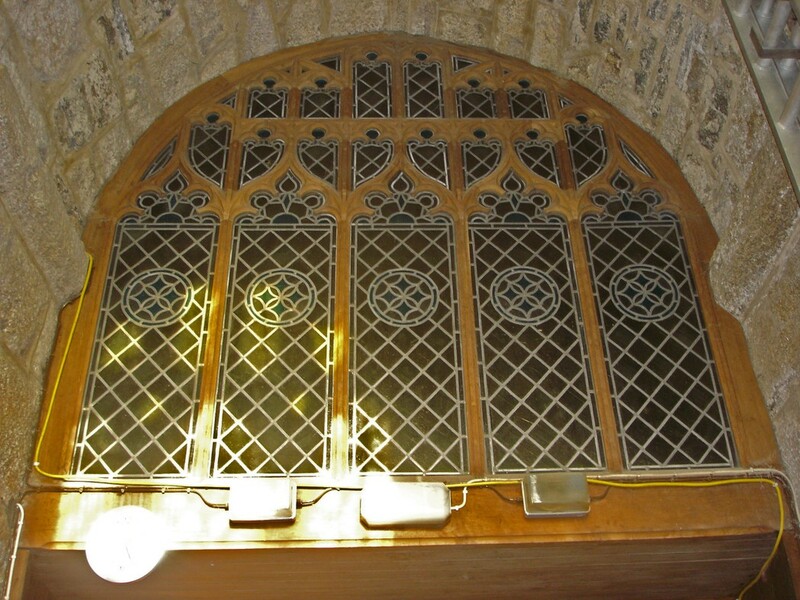 In 1912, the eastern part of the South Aisle was reconstructed and furnished as the Lady Chapel by Mrs. J. S. Hawkins, widow of Christopher Henry Thomas Hawkins, the last of the Hawkins family, of Trewithern and Trewinnard. 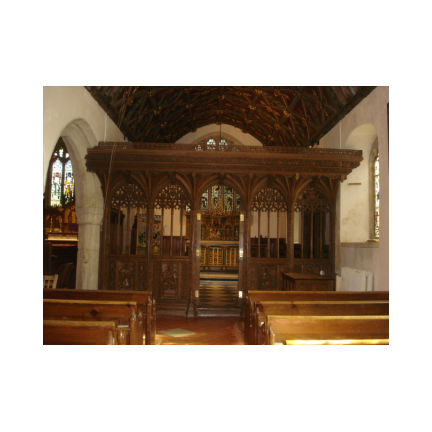 It is generally known as the Trewinnard Chapel. 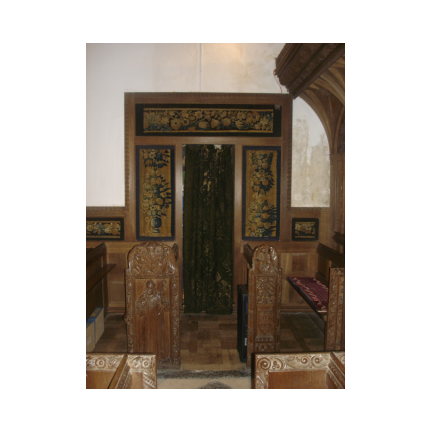 The magnificent screen in the traditional pattern has beautiful carving, which includes illustrations' of the four Evangelists. 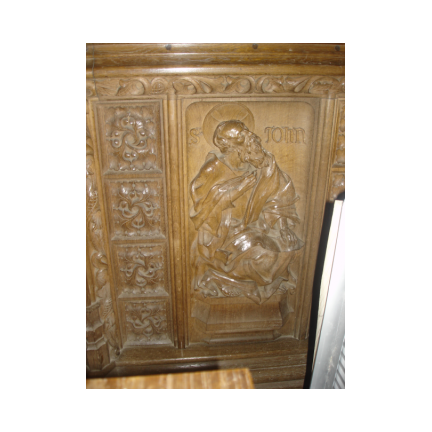 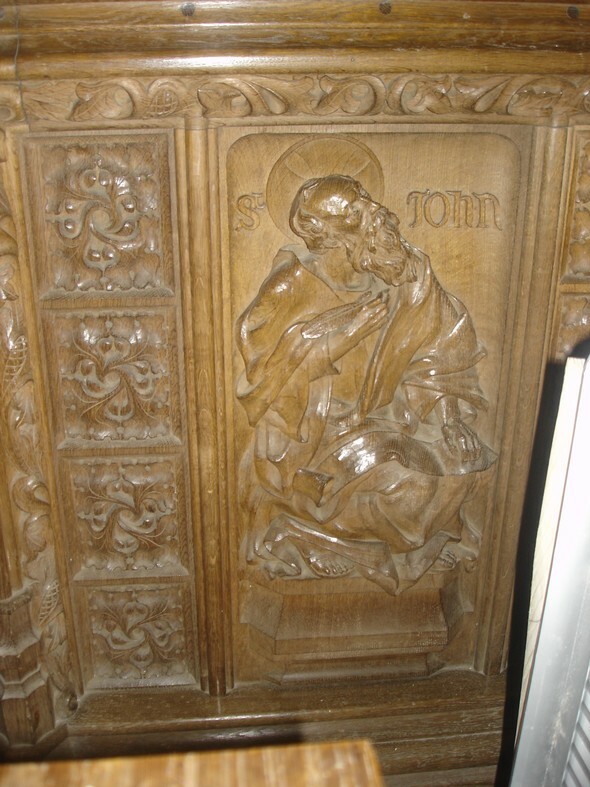 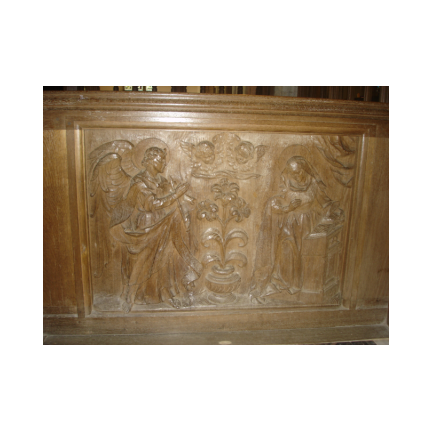 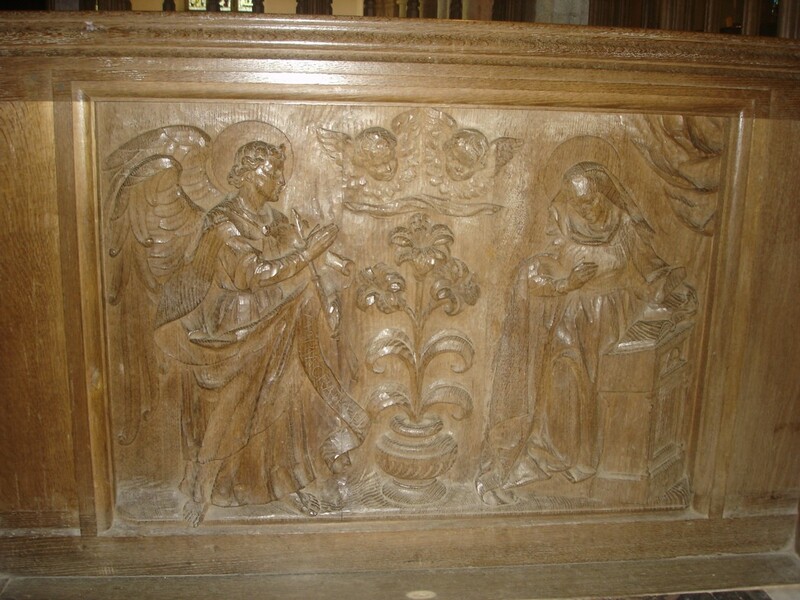 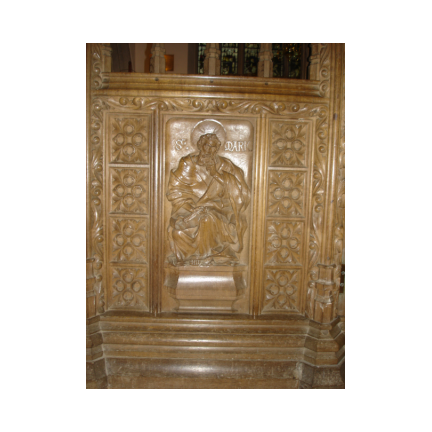 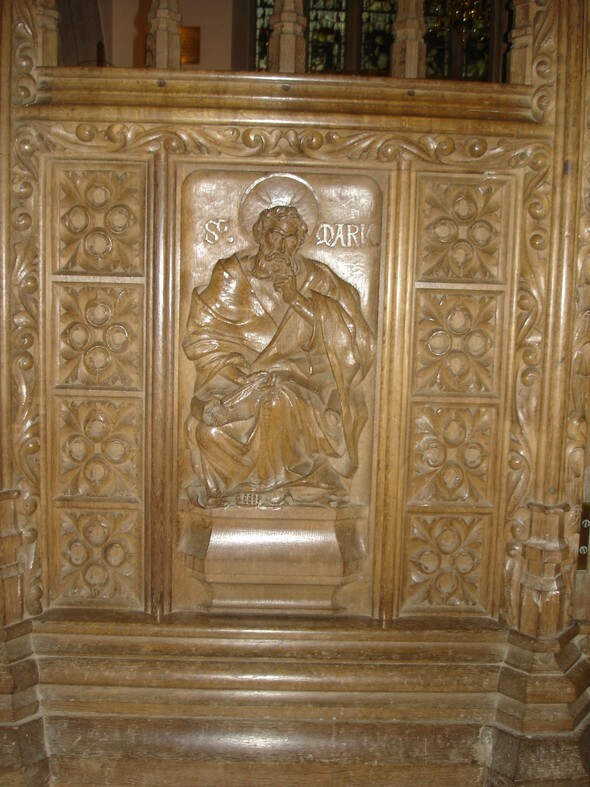 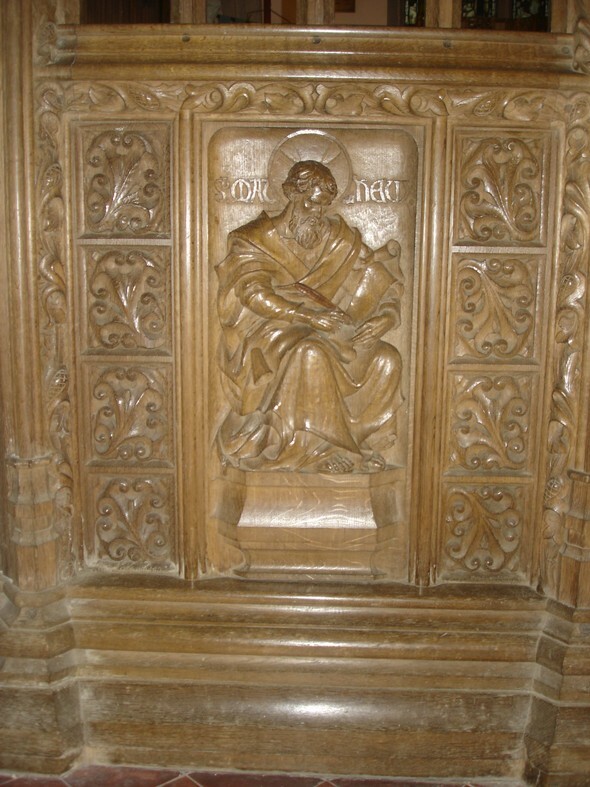 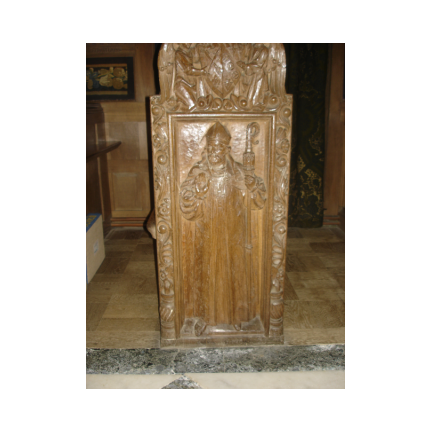 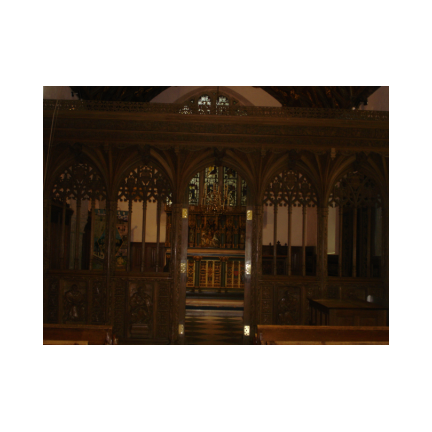 The front panels of the oak pews depict the landing of Bishop Ercus at Lanuthnoe on the south side, and the Annunciation on the other side. 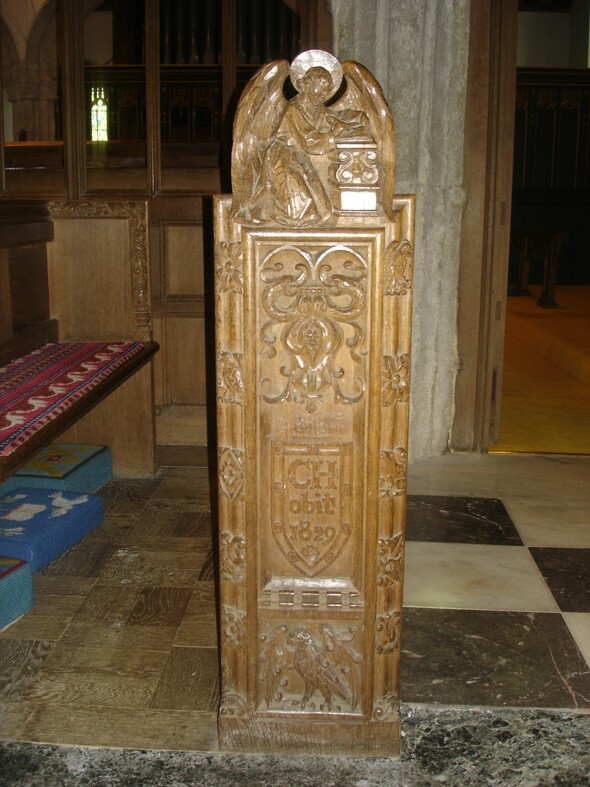 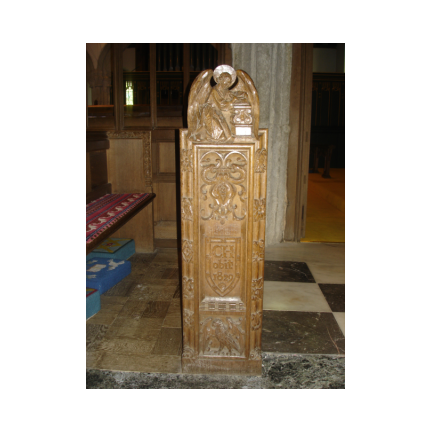 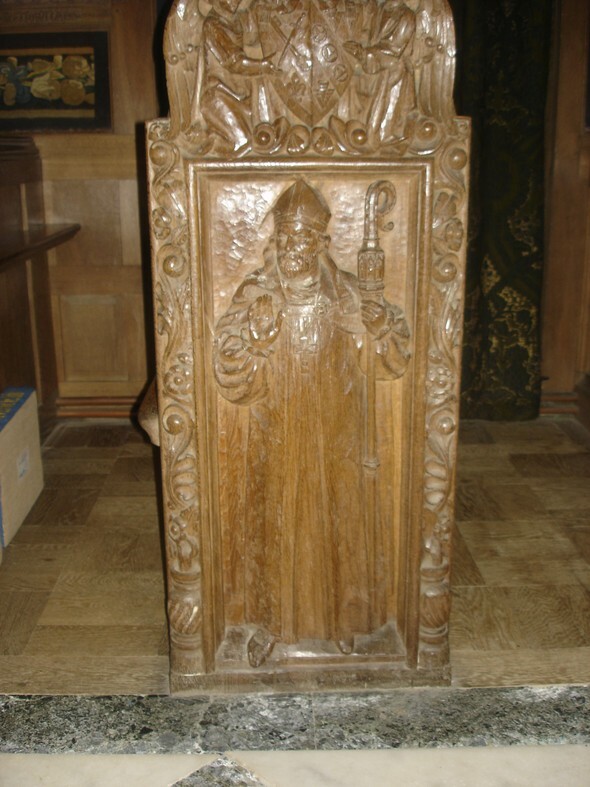 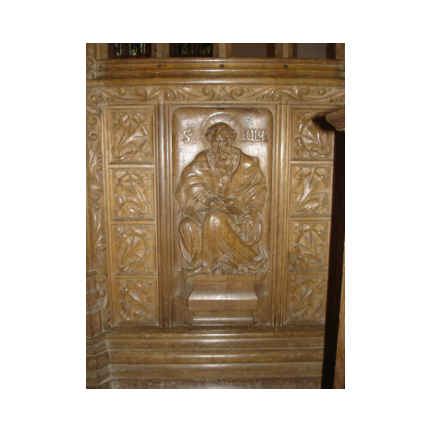 The interesting bench-ends include one of Bishop Stubbs, the Bishop of Truro at the time. 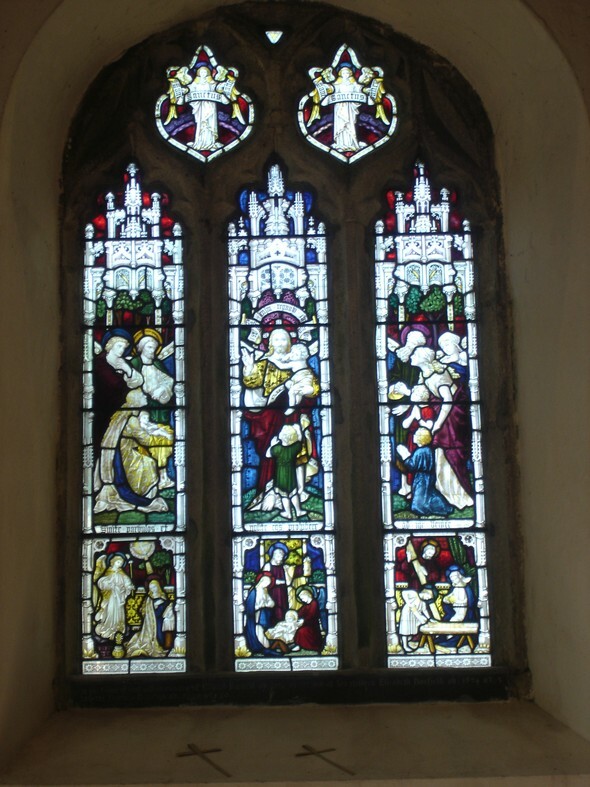 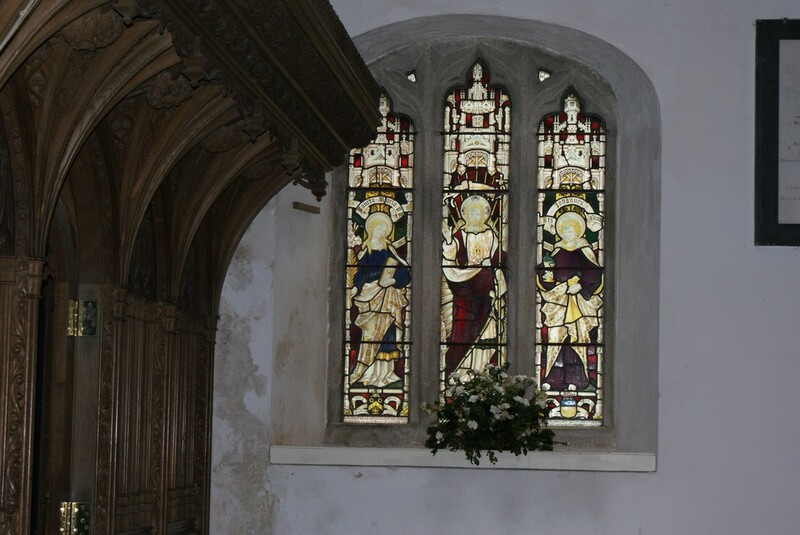 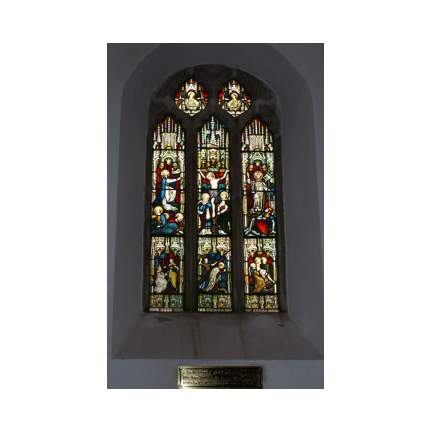 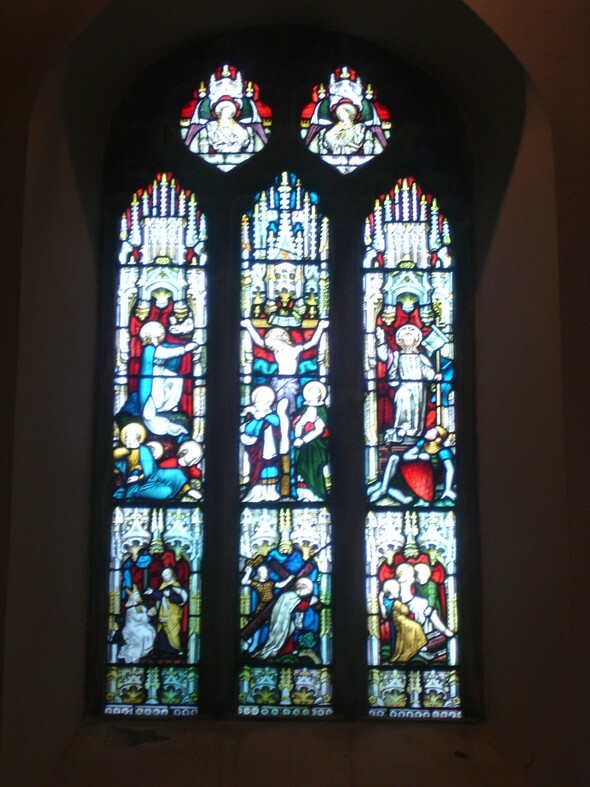 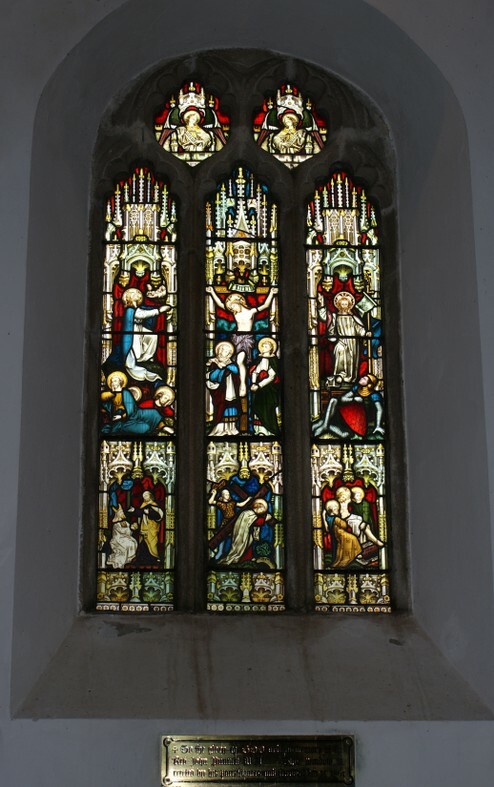 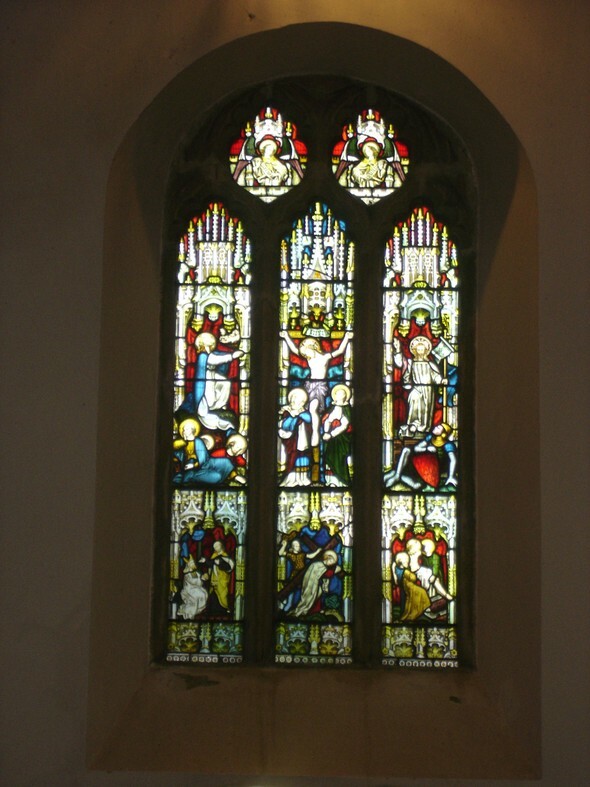 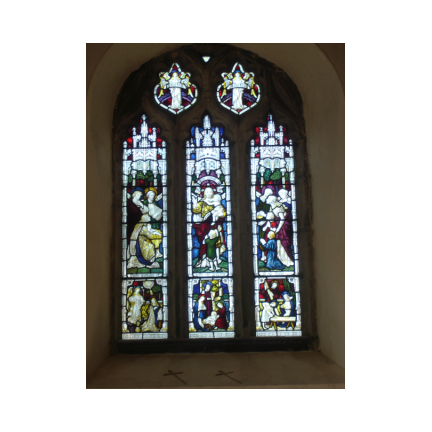 The window in the South wall dated 1912 commemorates the Hawkins family, and mentions the last to live at Trewinnard, Sir Christopher Hawkins, who died in 1829. 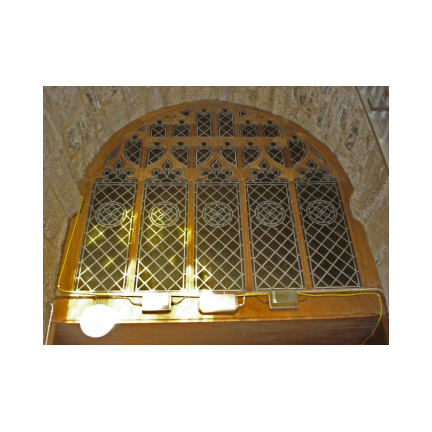 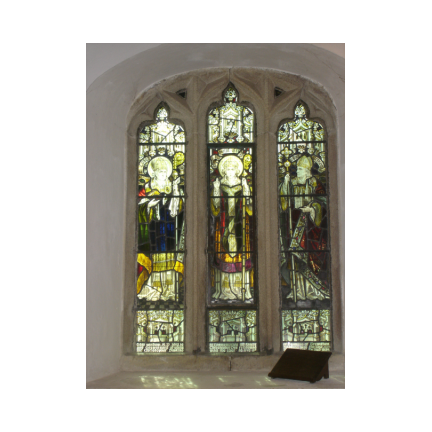 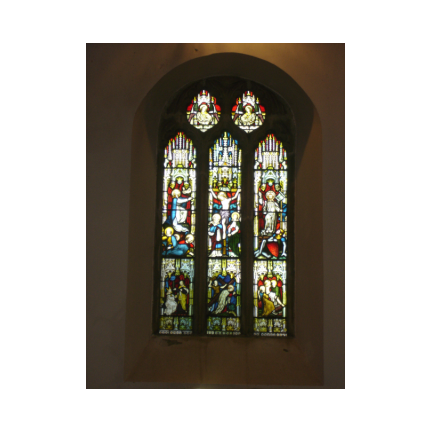 The centre light of the window shows St. Erth, and on one side is St Conan, an early Cornish Bishop, probably of St Germans, about 930 AD. 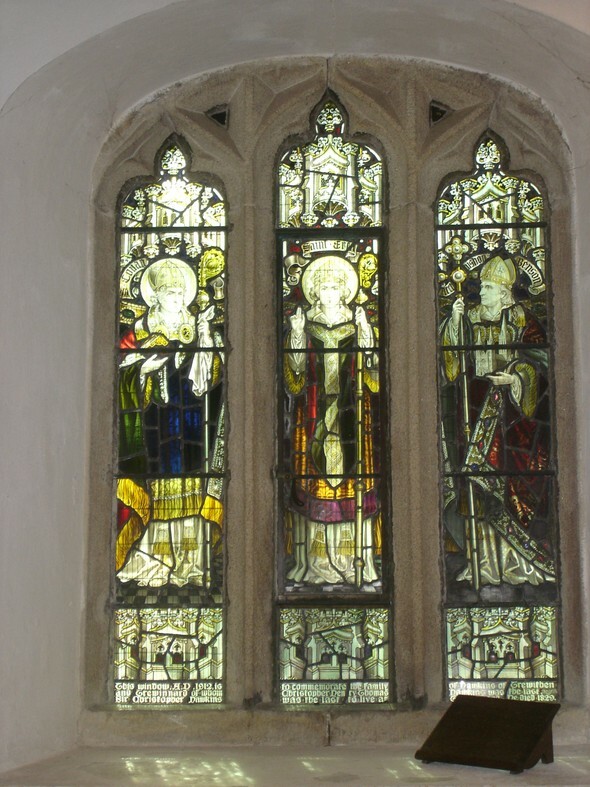 On the other side is Edward White Benson, the first Bishop of Truro, the Cornish bishopric reconstructed in 1877. 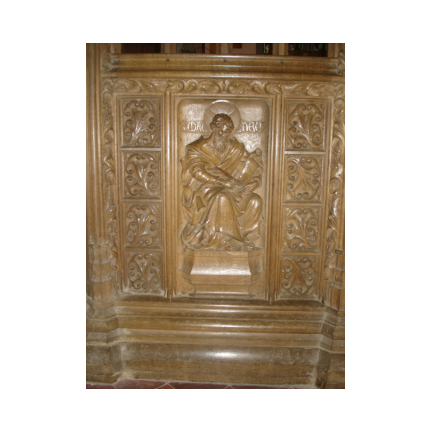 He was later Archbishop of Canterbury, and is shown holding a model of the Cathedral which he started to build at Truro. 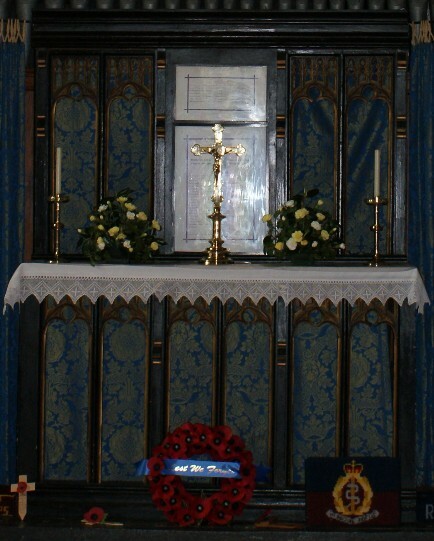 At the East End of the north aisle is a memorial to those Parishioners who fell during the two World Wars.